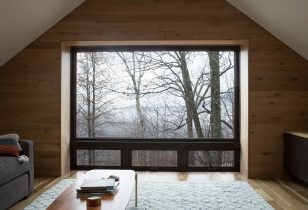 A treetop study in the Berkshires, on the second floor of a new carriage house, frames views of the surrounding woods. 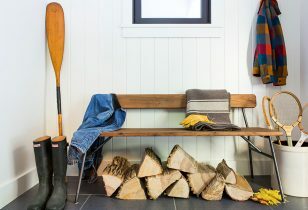 Designed as a country retreat for a young couple from New York City, this compact project plays with the idea of a modern cabin. 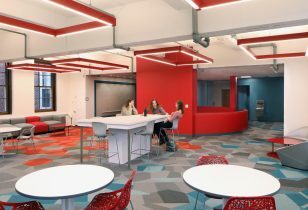 This addition and renovation transformed the first floor of a dormitory into a commercial kitchen, dining hall, kitchenette, and conference room on the Smith College campus. 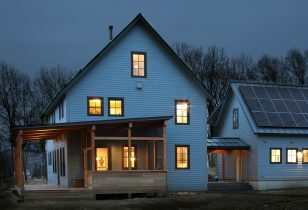 Traditional Farmhouse to serve new farming endeavor in Western Massachusetts. 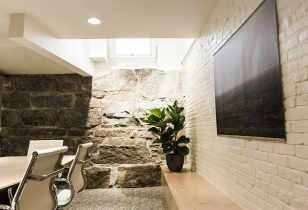 Renovation of a 1,000 sf below-grade office space for the law firm Reall, Lucentini & Lucentini LLP. 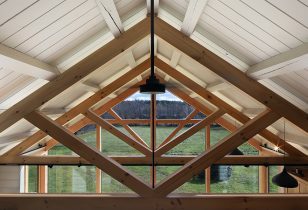 Winner of AIA Rhode Island 2018 Honor Award. 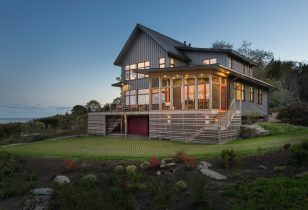 High performance new construction on the existing footprint of a waterfront property in Rhode Island. 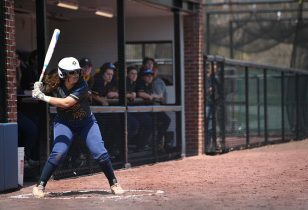 Smith College's new softball field and dugouts. 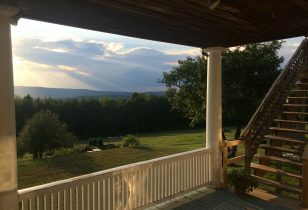 Assisting the Natural Dharma Fellowship on a mission-lead transition into the next 100 years. 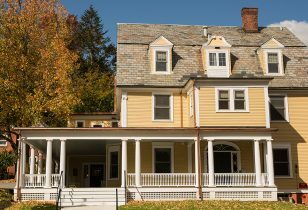 A series of upgrades to residence halls at Amherst College. 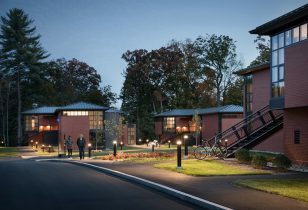 C&H is Associate Architect in support of Seattle-based Olson Kundig Architects on this Smith College residential housing project. Steve/Passive Dwellings works with C&H to develop his prototype: Passive House with AAC blocks.